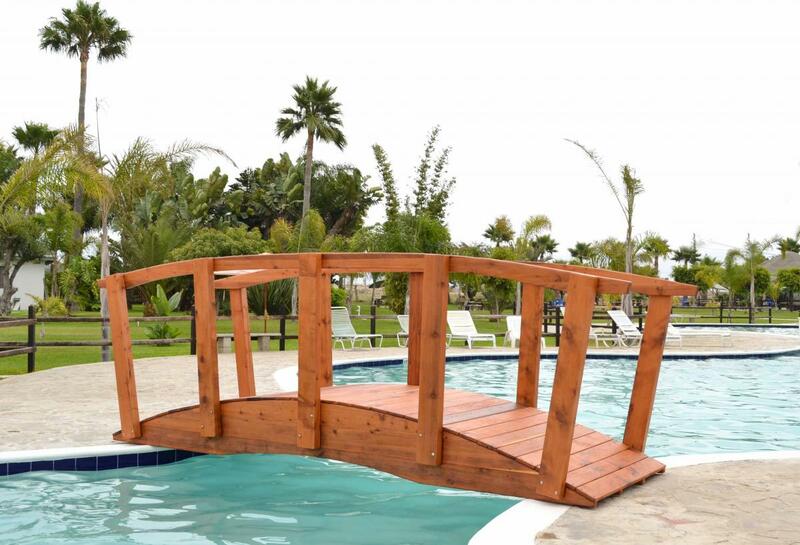 Bridge any gap. 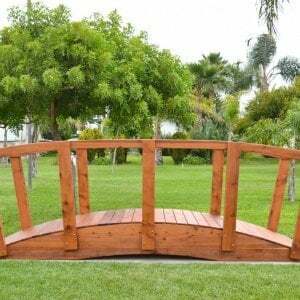 The Forever Foot Bridge is a handsome long lasting addition to your landscape. 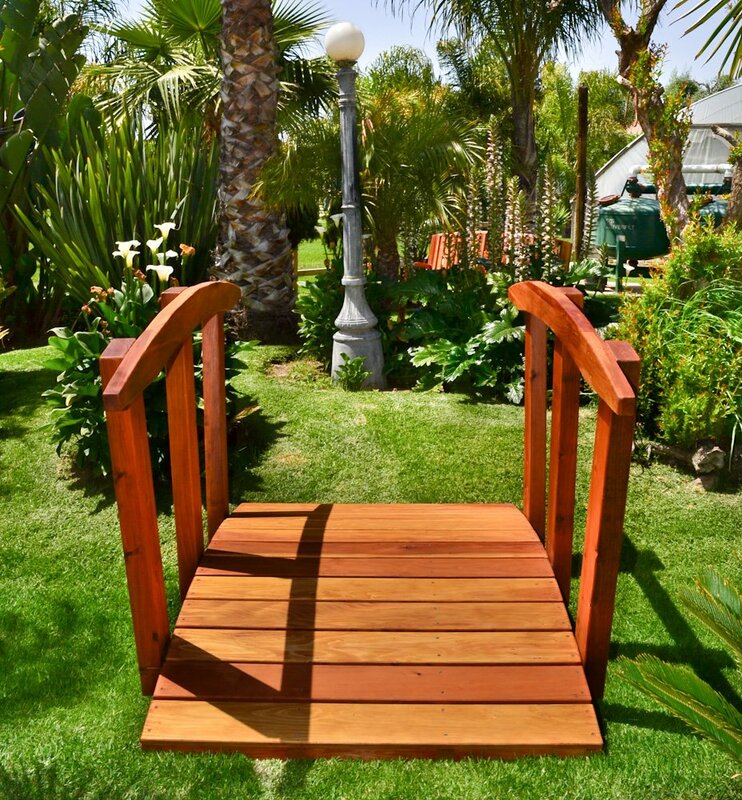 Add style to your landscape with the Forever Foot Bridge. 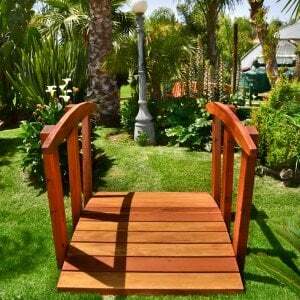 The inclusion of the bridge to your backyard/garden gives the place a character of its own. 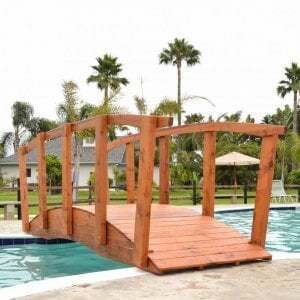 Quality: Built with oversized timbers so you can comfortably have several persons walking or standing on the bridge a time if you like. 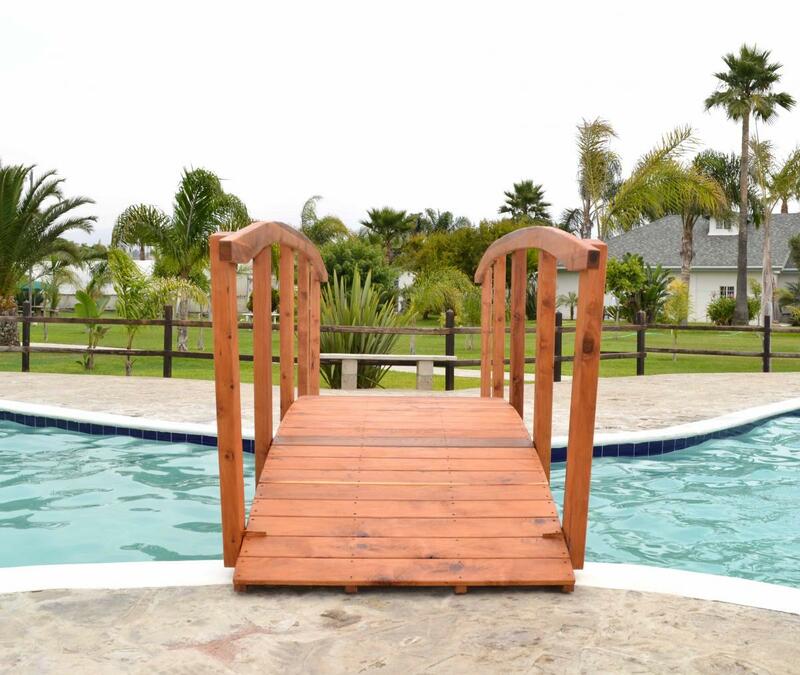 Finish: We use only stainless steel hardware to avoid any rust or staining issues and we use the Sikkens brand of finishes - the best weather resistant sealant on the market. 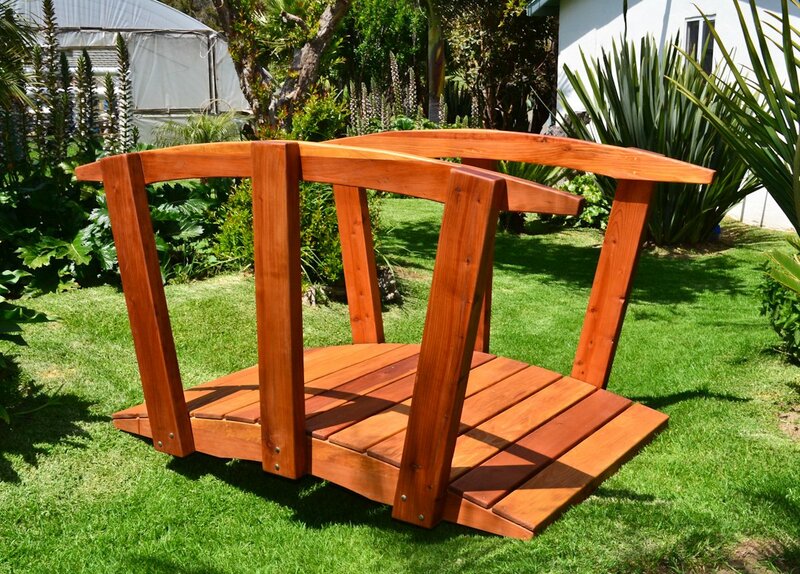 Sizes: Available in 6 sizes from 4 to 12 ft in length. 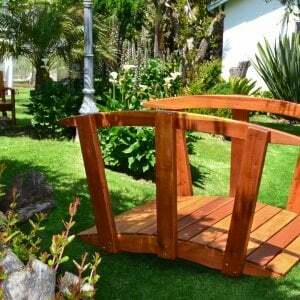 Custom sizes are also made to order. 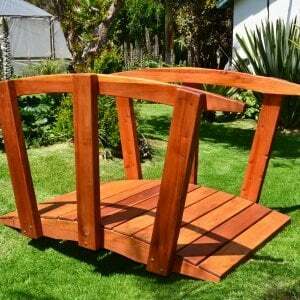 Delivery: Delivered to your door in easy to re-assemble parts. 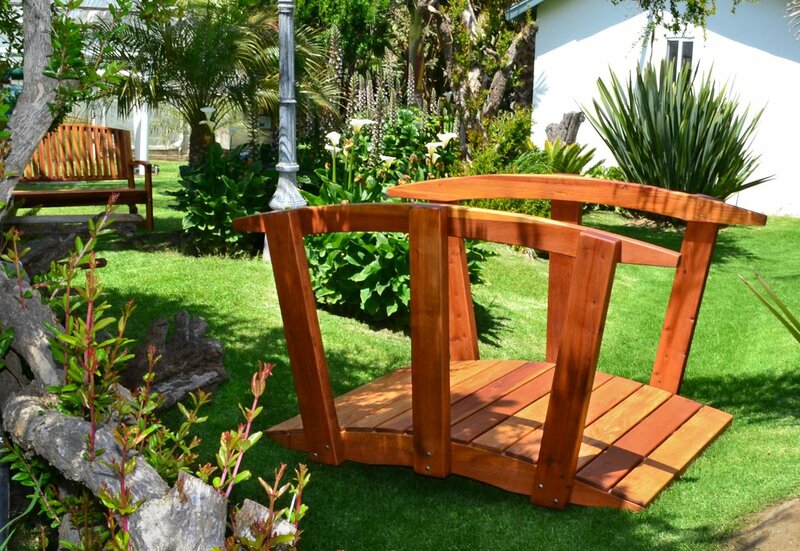 Warranty: Decay resistant thick timber Redwood with warranties of up to 30 years. 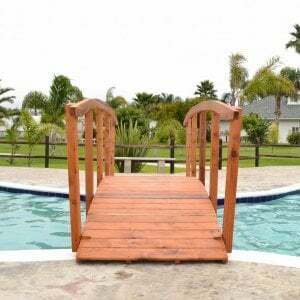 Available Sizes: 4, 5, 6, 8, 10 and 12 ft. 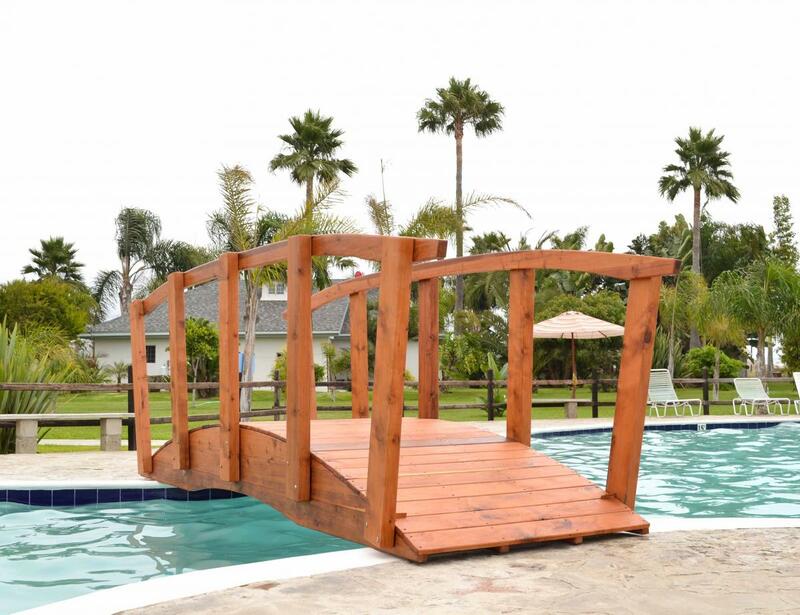 Foot bridge is overbuilt with thicker than needed timbers to make sure it will hold up fine thru the decades. Ships in a few easy to reassemble parts. 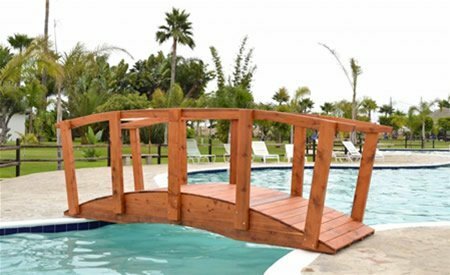 Foot Bridge standard design has a weight capacity minimum of 1,800 lbs for the 12' size and greater capacity for the smaller spans. 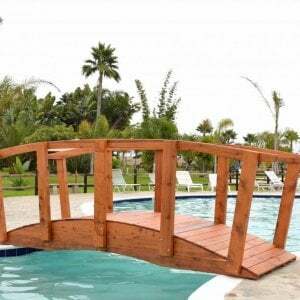 If you require extra capacity for your foot bridge, please reach out. 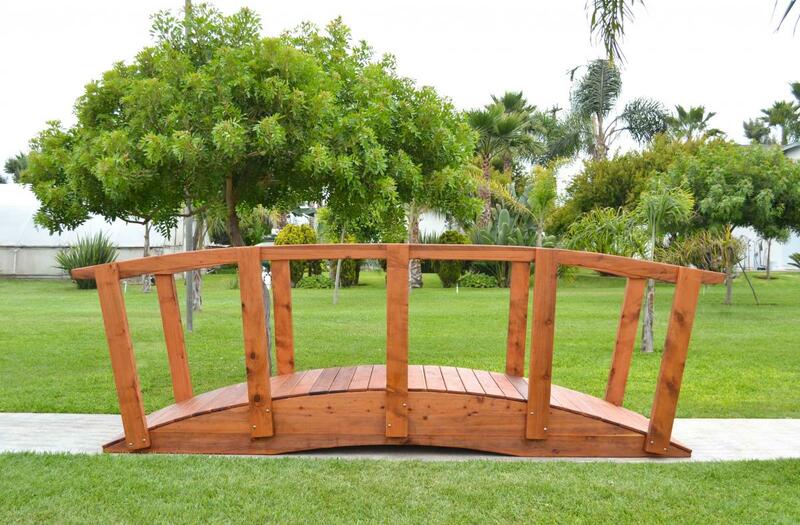 We can customize your footbridge to hold considerably more weight.